Tara Janzen, New York Times bestselling author, is the creator of the acclaimed Steele Street series of romantic suspense novels about a hotshot crew of former juvenile delinquents and car thieves in Denver, Colorado who grow up to become one of the U.S.A.'s most elite black ops forces. The eleven book series begins with CRAZY HOT and CRAZY COOL and finishes up with LOOSE ENDS. She has won numerous awards for her writing, including a RITA from RWA, and has had nine 4 ½ TOP PICKS from Romantic Times magazine, with seven of the TOP PICKS awarded to the Steele Street series. Two of her books are on the Romantic Times ALL-TIME FAVORITES list - RIVER OF EDEN, and SHAMELESS. Writing as Glenna McReynolds, she is the author of thirteen Loveswept romances, an epic medieval fantasy trilogy, THE CHALICE AND THE BLADE, DREAM STONE, and PRINCE OF TIME, and a contemporary romantic adventure set in the Amazon, RIVER OF EDEN, a book considered a classic in the genre. She loves doing research for her books, and her love of anthropology and the natural sciences has helped her create the landscapes of her novels, from the rich historical background of THE CHALICE AND THE BLADE trilogy, to the shores of the blackwater rivers flowing through the lost world of the Amazonian rain forest in RIVER OF EDEN. 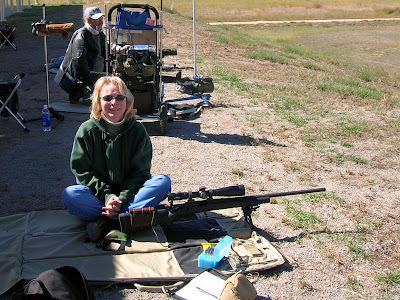 Her love of the shooting sports and American muscle cars fuels all the "crazy hot" and super fast-paced Tara Janzen novels of the Steele Street series. You can find Tara at her website, Tara Janzen.